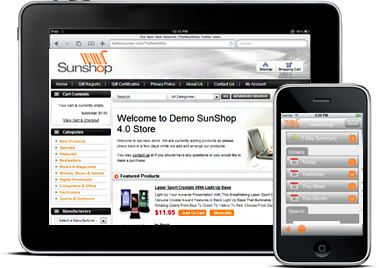 If you are a store merchant and looking for professional-quality PSD to SunShop conversion services, then CSSChopper is the ultimate destination to approach. We transform your appealing design theme into W3C valid SunShop templates with keeping the 100% pixel perfection of the provided design. Our competent designers provide fast and reliable coding services to convert PSD to SunShop for pleasant customer experience. At CSSChopper, we have seasoned and qualified e-commerce professionals, well conversant with the latest web development technologies and standards going in the current e-commerce industry. We also provide the technical assistance of e-commerce developers to our customers to render professional outsourcing solutions at reasonable costs. We have a pool of talent fortified with profound skills and technical capabilities. Our development team has sustained a successful reputation of customer satisfaction in delivering quality excellence and prompt services. Look at our featured portfolio to get familiar with our technical potency. Seamless communication with the client over phones, emails, chats etc.